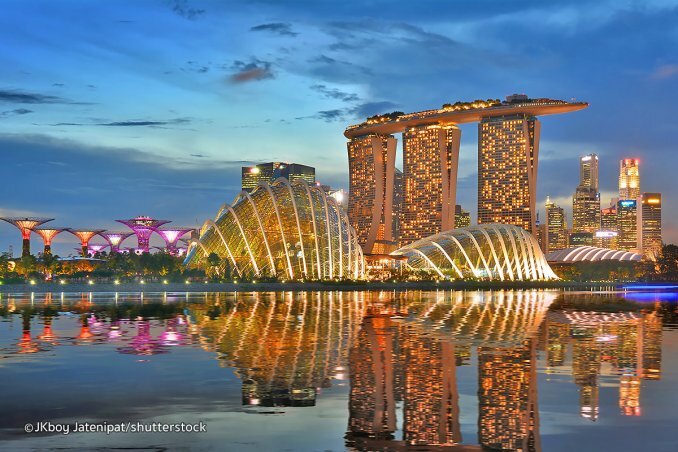 Singapore's famed Marina Bay is the place to go to see the city's most spectacular things to do. 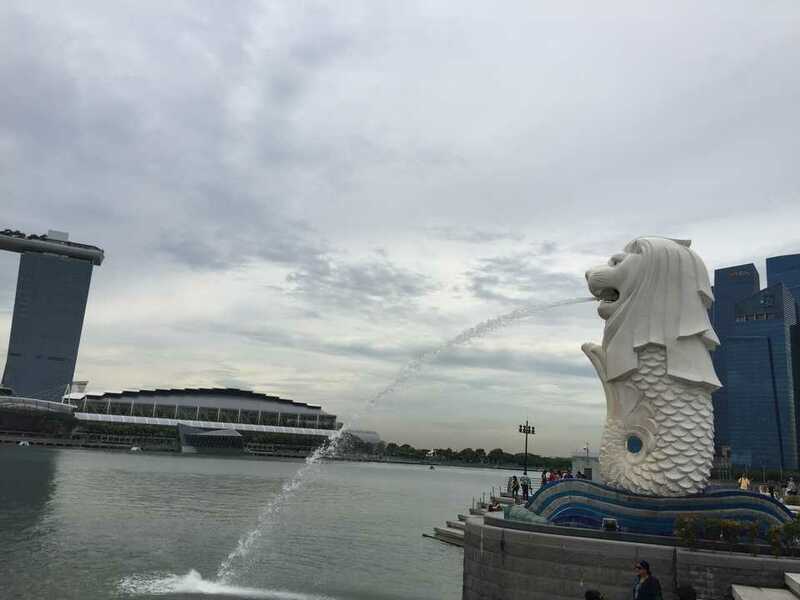 With the fast development of this cosmopolitan city-state, the whole Marina Bay area has undergone a transformation of epic proportions. 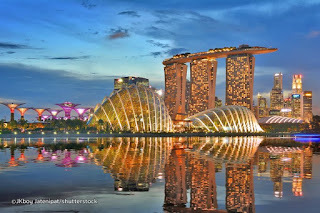 Marina Bay Sands complex is the focal point of the bay, and many of the great things to do and see in the area revolve around this epic building and resort, such as the Science Museum, Casino and various shopping, dining and nightlife options. 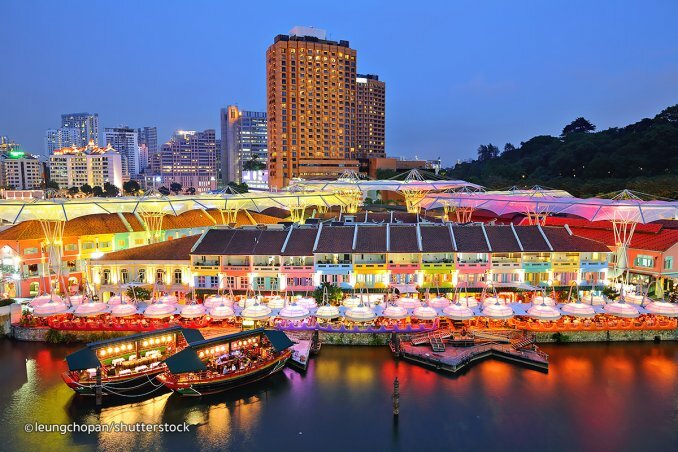 This delightful riverside development is packed full of bustling bars and restaurants, boutique shops and pumping nightclubs, attracting a steady stream of tourists alongside Singapore’s party animals. 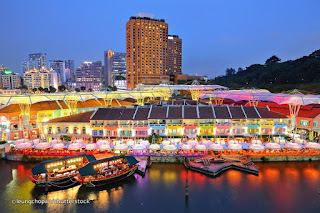 Clarke Quay’s location takes full advantage of the picturesque body of water that emerges from the city’s main river, with alfresco-style dining to be had in an endless number of eateries set around the water’s edge. Head under the futuristic, jelly-like roof and you’ll find some great shopping options as well as a plentiful supply of bars, making this a real bar-hoppers’ heaven. 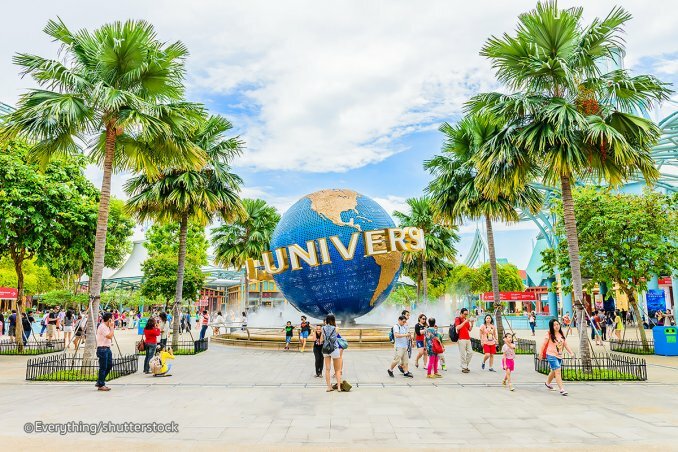 Universal Studios Singapore is the first amusement park of its kind to open in Southeast Asia. The park has more than 20 attractions in themed zones including the Lost World, Ancient Egypt, New York, Hollywood, Madagascar and Far Far Away. 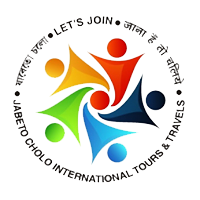 Regarding the rides, two are water themed and five are thrilling roller coasters of which two of are currently the world's tallest ‘dueling’ roller coasters. Families with small children can also make the most of the kids’ roller coaster and a merry-go-round too. 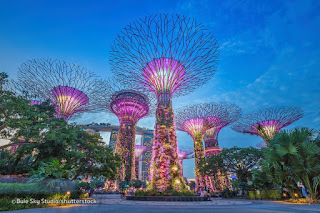 Gardens by the Bay is a huge, colourful, futuristic park in the bay area of Singapore; and has been crowned World Building of the year at the world Architecture Festival 2012. The famous Supertree structures offer an impressive skywalk over the gardens, over-sized seashell-shaped greenhouses recreate chilly mountain climates and there are hundreds of trees and plants to discover, making this destination great fun for both kids and adults. 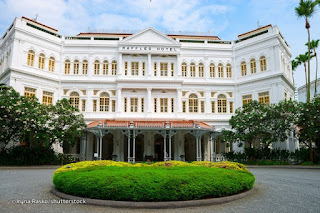 This luxurious colonial-style hotel has a long history dating back to 1887 and has become one of the most important Singapore landmarks. Among famous guests are Elizabeth Taylor, Queen Elizabeth II and the late King of Pop, Michael Jackson. 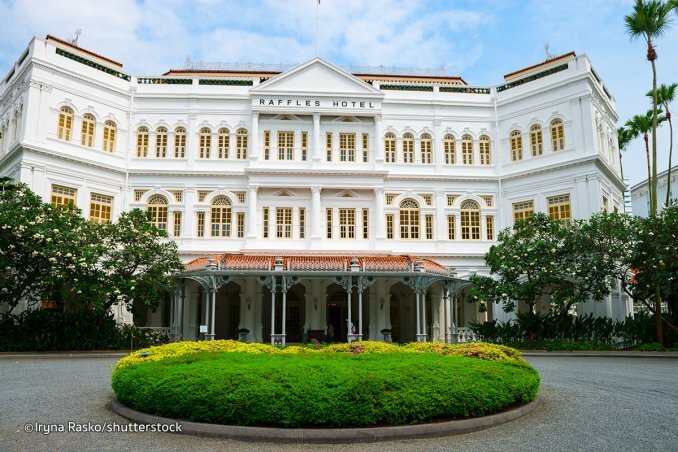 The Raffles Hotel features 103 suites and 18 distinctive restaurants and bars as well as an arcade with over 40 boutiques and stores. Many come for the Raffles Bar experience and you can be sure to enjoy the best Singapore Sling in town. After all, it was invented here and they’ve had almost 100 years of experience at making them. 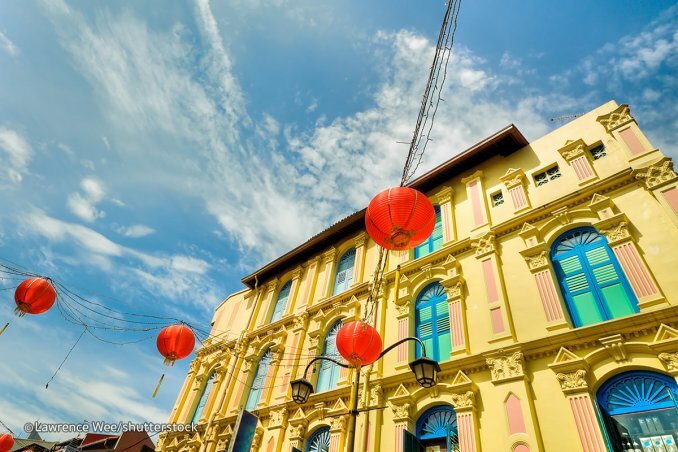 Chinatown is another Singapore icon; great for shopping, to see all kind of important attractions and trying out authentic Chinese food. There are countless restaurants and hawker food vendors to choose from. Learn more about its history from the Chinatown Heritage Centre on Pagoda Street. 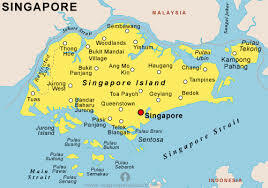 Its main focus is on the Chinese immigrants who lived a hard life and were the main group of people who founded Singapore. Other attractions include Thian Hock Keng Temple, the oldest temple in Singapore, Buddha Tooth Relic Temple, Eu Yan Sang Chinese Medical Hall and Maxwell Road Food Centre. 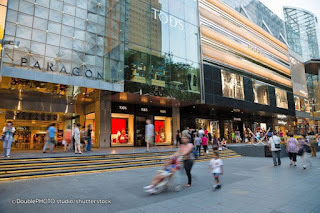 One of the most iconic streets in Singapore, Orchard Road is the epicentre of shopping in Singapore and is similar to London’s Oxford Street or Hong Kong’s Nathan Road. 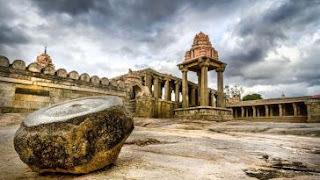 Flanked on both sides by local and international department stores, tiny boutiques, offices, spas, beauty salons, hotels, entertainment spots, restaurants, and cafes, you could spend a whole day trawling the main thoroughfare. 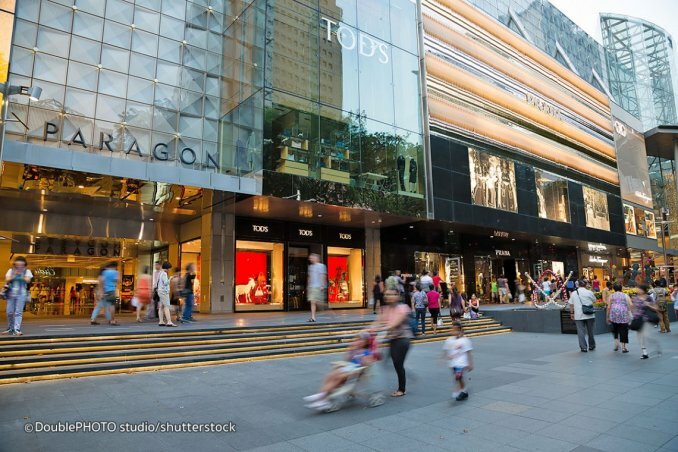 Shopping malls along Orchard are stocked with practically everything under the sun. 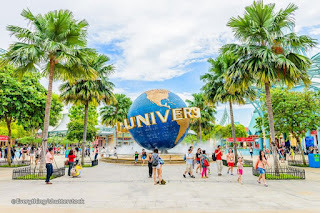 Plus, there is always some kind of fair or activity taking place in the malls and shopping centres so there is probably more things to do Orchard than anywhere else in Singapore. The Singapore Flyer is the world’s largest observation wheel. A one-of-a-kind experience and built over a three-story terminal building, the Flyer is 150 metres in diameter, 165 metres high, and travels at 0.21m per second with breathtaking panorama views that are so radically different during the day and at night, it’s hard to choose the best time to take a ride. 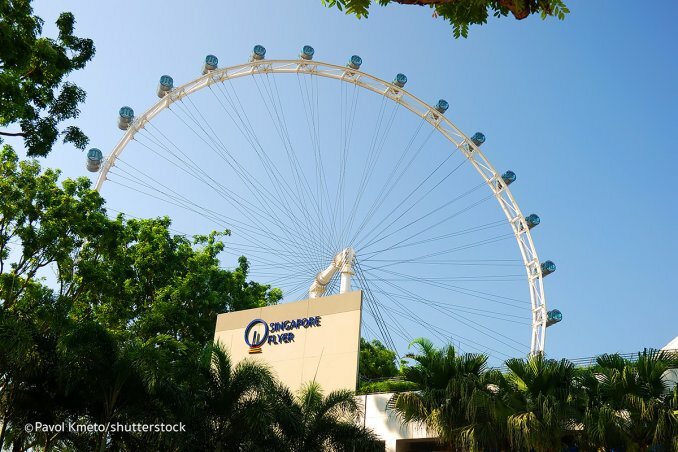 Passengers will get to see such city sights as the Singapore River, Raffles Place, Marina Bay, Empress Place and the Padang. 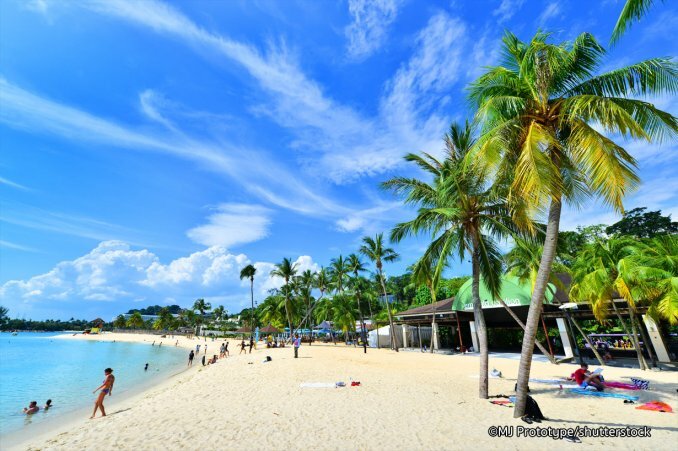 Sentosa is a purpose built island off the southern tip of Singapore which was built with leisure and relaxation in mind. 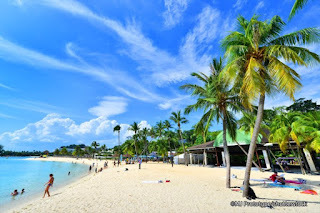 A collection of beaches, theme parks, golf, shopping, dining and more are all available on this strip of reclaimed land that can be reached by road or cable car. 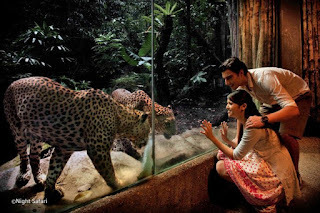 Authentic it’s not, but if you want to add a bit of fun to your Singapore trip then Sentosa is the place to do it. Singapore Night Safari is truly a unique attraction. It is not only an interesting place worth a visit but a leading conservation and research centre in Asia. As a zoo it offers an unusual glimpse into the nocturnal animal kingdom, with more than 59 exhibits and 1,000 animals to be seen from around the world. These include Himalayan griffon vultures, greater one-horned rhinoceroses, wildebeests and gazelles. You can simply start with the ‘Creatures of the Night’ show for a good 20-minute overview of the animals to be seen here.